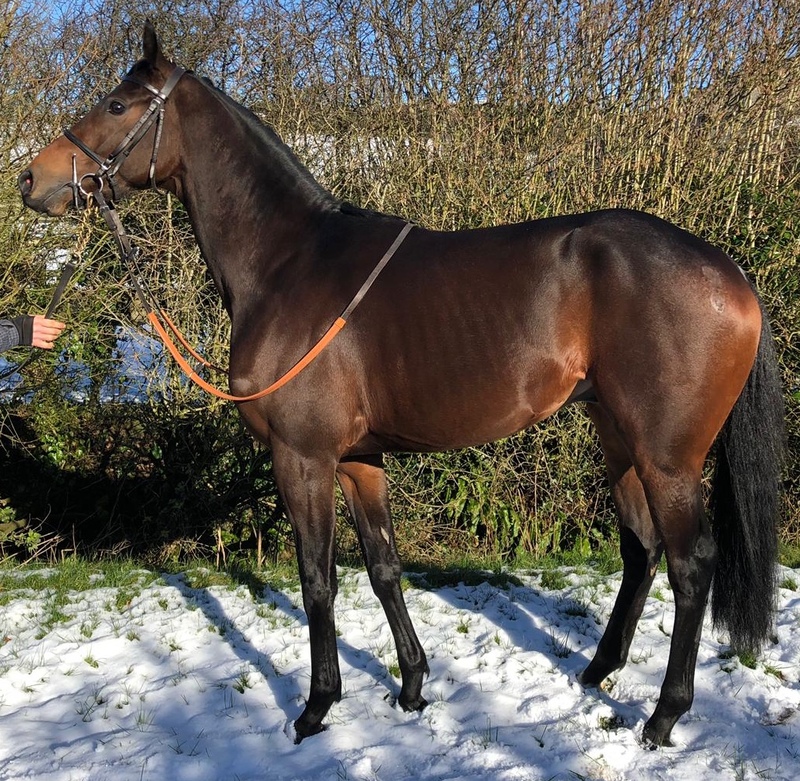 A particularly athletic, good-moving son of the outstanding sire Dubawi, Numero Uno looks an ideal candidate to go juvenile hurdling next season and will be trained with a view to starting out in the first contests of that kind in June. He showed a decent level of form in three starts in maidens, starting off when midfield in a very strong contest at Newbury in July. He made his handicap debut off a mark of 71 in December and ran very creditably in finishing fifth, coming from an unpromising position having been held up off a slow early gallop. He can be forgiven his only subsequent start, when he was too keen in first-time blinkers and, on that previous run, looks very fairly treated. There are plenty of reasons to think improvement will be forthcoming. Firstly, his sire Dubawi’s progeny improve markedly with age. His already hugely impressive stats (18% strike-rate at 7-9f) progress with a longer trip, with a 21% strike-rate at 10-11f and 23% at 12-13f. On the damside, there is both a huge amount of class as well as plenty of stamina. His dam, Casual Look, won the Oaks, whilst Numero Uno’s siblings include full sister Eyeshine, a wide-margin winner over 1m4f at three, as well as Group 3 winner Casual Smile.. His dam’s full sister, Shabby Chic, has produced two winning hurdlers (top Racing Post Rating of 139), whilst another full sister, Dress Uniform, produced a smart bumper performer/winning hurdler. Numero Uno will now be gelded and given a short break, with a view to returning to training at the beginning of March. From there, he will be prepared for a tilt at the first juvenile hurdles of the season and looks just the type to excel in that sphere, as he has shown the necessary ability and is a fantastic mover. At just £19,250 + VAT (includes all sales commissions, transport and keep to 1st March), he rates outstanding value for such an exciting prospect.